My exams have just finished, and what better way to celebrate than doing a book review? (Don’t answer that question). I realise I haven’t done a book review in bloody ages, so it’s about time – and I have a few reviews to catch up on! If you follow me on goodreads (goodreads.com/Stammydodger) then you can keep up with what I’m reading (at the moment I’m deciding whether to start something fun or something for the dissertation -sigh), and I’m happy to receive book review requests – either on something you see that I’ve read, or just a book that you’re desperate to see someone talk more about. Enough babbling, let’s get to Kate Tempest. Young Londoners Becky, Harry and Leon are leaving town in a fourth-hand Ford Cortina with a suitcase full of money. They are running from jealous boyfriends, dead-end jobs, violent maniacs and disgruntled drug dealers, in the hope of escaping the restless tedium of life in south-east London the place they have always called home. 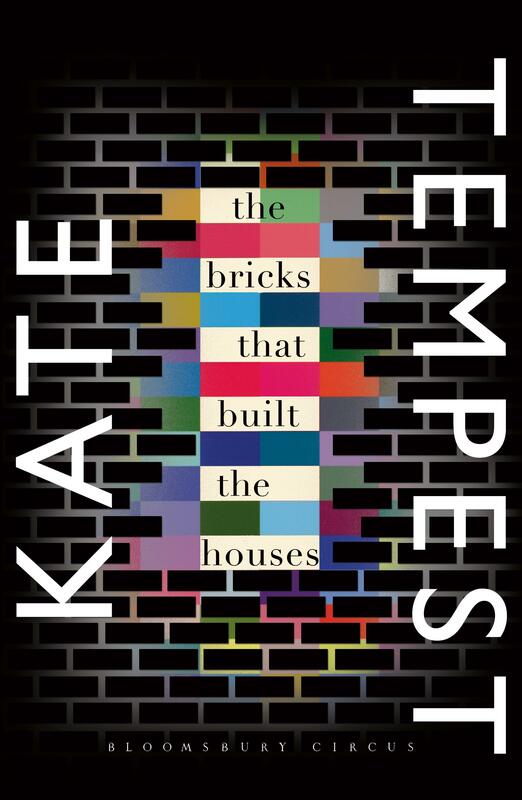 This was a very interesting read for me, as I had not read any of Kate Tempest’s poetry before this – her debut novel – so it was interesting to see how it compared to other books that I’ve read. First of all, can we just point out that we have yet another beautiful cover on our hands? I was firmly on the ‘it is what’s on the inside that counts’ camp, but I think I’ve permanently moved to the ‘give me that pretty cover’ team. This book was recommended to me by a colleague, so I gave it a chance – and I’m glad I did. Overall, I think what perhaps ruined this book for me was that I was reading odd chunks every now and then over the month of May whilst trying to revise, so when I did read it I was either not fully focussed or not entirely able to appreciate all that is Kate Tempest. But actions speak louder than words in my case, so the fact a planned half-hour reading break turned into almost three hours because I just had to finish the book and find out what happens, says it all. The writing was unlike anything else I’ve read before. You can definitely tell that the author is a poet with how beautifully crafted her sentences are, the similes and metaphors feeling completely original and fresh. I liked a few lines so much that I immediately wrote them down, simply because I felt they was just perfect. Just perfect people. Silence approaches the table like an overeager waiter. Hovers around making everyone feel looked at. David catches her smile and pins it to his chest like a Year 6 swimming badge. These lines, from the same page in the book, were further into the book and devoured in the 30-minute-turned-three-hours reading sprint, and I can’t help but wonder that maybe if I’d been able to read the whole in book in more sizeable, consistent chunks in a shorter space of time, I might have been jotting down quotes left right and centre. There were definitely more that left me agog, wondering how on earth someone can write something that just fits that moment entirely. I realise I haven’t said much about the book itself, but I’m not sure whether that would be wise or not. I went in knowing very little (see my comments on blind reads for more information) and it was a very interesting way to go. The first few pages set a scene, but then for the remainder of the book you’re transported back a year to see how everything leads to that scene – and what a journey it is. I’d definitely recommend picking up the book and just reading those first few pages, see if they reach out and grab you like they did me. Outside the beautiful style and just classic Tempest-writing, one feature of this book I adored was the exploration of every single character. They all have their moments to shine, with their past and their story shared. Yes, Harry, Leon, and Becky are our main characters, but it seemed there were so many characters that I was able to get an insight into. Nobody felt surplus to the story, or just there for a few moments, and that was something completely novel and wonderful to me. There were stories of other characters that I wanted to hear more about, which was wonderful. And each story had that common thread that runs throughout the book, which for me was that really everyone is in the same boat, looking for themselves and their purpose and trying to get out of loneliness. A beautiful book with beautiful writing, beautiful characters, and one heck of a beautiful cover. If you’re up for trying something new, then go for this one. You never know, you might be using the word ‘beautiful’ four times in one sentence because of it.